The NOVOTEL POITIERS SITE DU FUTUROSCOPE hotel team welcomes you to Futuroscope. Enjoy our great location, an easy walk from the Parc du Futuroscope. The hotel is located at exit 28 of the A10 highway. 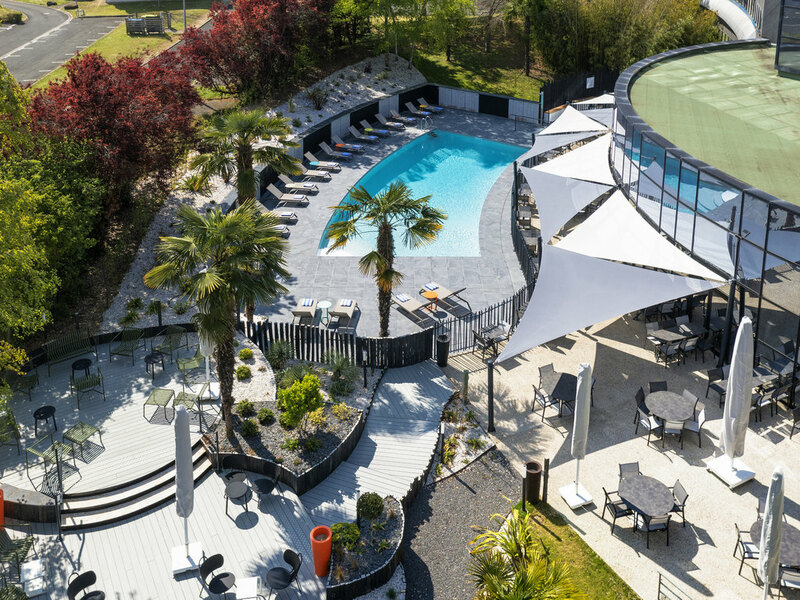 The Novotel Poitiers Site du Futuroscope hotel is a 4-star hotel located between the Futuroscope theme park and the conference center, at exit 28 of the A10 highway. The hotel has 127 air-conditioned rooms, which were fully renovated in 2017, a restaurant, bar, a heated outdoor pool, 10 meeting rooms, a fitness area, a sauna and a free enclosed private car park. The hotel is ideal for both business travel and weekends away with the family. The Novotel Poitiers Site du Futuroscope offers rooms measuring 269-431 sq. ft. (25-40 m²), equipped with a bathroom with shower and separate toilet, free WIFI, tea and coffee making facilities, flat-screen TV, safe and minibar with free mineral water.